New Construction home offers one level living, desirable split floor plan, 3-bedrooms, 2-bath, spacious master suite with large walk in closet, custom kitchen with beautiful tile backsplash/granite countertops, stainless steel appliances, and laundry room. Enjoy outside living on the covered porch with year round views. 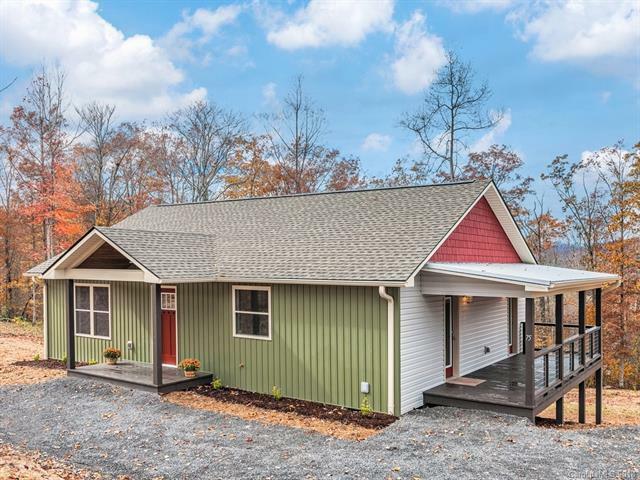 Home is located approximately 25 minutes to Asheville, home is right out side city limits of Canton (only county taxes).